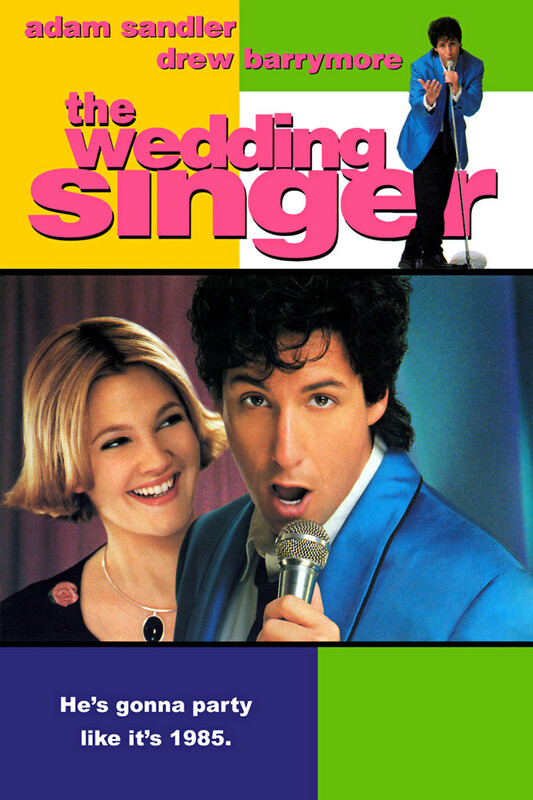 The Wedding Singer portrays a middle-aged wedding singer living in the 1980s, Robbie (Adam Sandler), who is set to be married. After getting dumped at the alter by his fiance, he becomes depressed and lets his singing talent go sour, ultimately putting a damper on his career and making for unsatisfied customers. He meets a waitress, Julia (Drew Barrymore), who is currently engaged to a ladies' man that doesn't appreciate her, as Julia begins to question if she's chosen the wrong man once meeting Robbie. After becoming close friends, Robbie becomes determined to get a chance with Julia by trying to land a better job and becoming the type of successful man that she currently has, all in hopes of growing old together.